Photo courtesy of World Surf League (WSL) Margaret River Pro 2018. Top female surfers at the 2018 event: Australia’s Bronte Macaulay, Sally Fitzgibbons, and Steph Gilmore with America’s Caroline Marks (second from right) Photo courtesy of World Surf League (WSL) Margaret River Pro 2018. Margaret River Main Break. Photo courtesy of World Surf League (WSL) Margaret River Pro 2018. Margaret River will be the focus of the surfing world when the 32 best male and 16 best female surfers battle it out at the annual Margaret River Pro. For the past 35 years, the planet’s top surfers have descended on Margaret River, WA’s premier tourist destination, for the two-week sporting event. It is the fourth stop on the World Surf League’s Championship Tour, right after the tour juggernaut rolls through Bali and before it heads east to surf mecca Rio de Janeiro. The biggest names in surfing have competed here in previous years: Kelly Slater, Mark Occhilupo, Mick Fanning and Layne Beachley. This year, the contenders are likely to include the biggest ever name in women’s surfing, seven-time world champion Steph Gilmore. Also expected are highly-ranked Sally Fitzgibbons and Lakey Peterson, and WA’s own Bronte Macaulay. On the men’s circuit, there’s Brazilian crowd favourite Gabriel Medina, Australian champion Julian Wilson, and home-grown up-and-comer Jack Robinson. Unlike other top tier sporting events, you don’t need tickets in advance. In fact, you don’t need tickets at all. Arrive early in the morning, choose your vantage point from the viewing deck, grab yourself some food and coffee from the on-site food trucks, and pull on a blanket to watch the world’s best battle it out on the waves. There is also a free bus to the event direct from Margaret River, so there’s no need to worry about transport. Weather: May and June are cool months in south-western Australia so bring warm clothes, closed-in shoes and possibly a scarf and head wear for the fresh early morning weather. It can also be sunny and warm during the day, so be sure to pack a sunhat, or buy yourself a souvenir one at the event. Stay up to date with the latest event information with Surfing Western Australia’s official Facebook and Instagram. Born in Gracetown in a surfing family (father Dave is a former professional and sister Laura is also on the surfing tour) Bronte learned her craft at the age of nine. Now 25 she is hitting her prime, occupying a coveted spot in the exclusive club of the top 16 female surfers in the world. Western Australia has been looking for the next big thing in men’s surfing since the retirement of local hero Taj Burrow. Enter 21-year-old Jack Robinson from Margaret River. 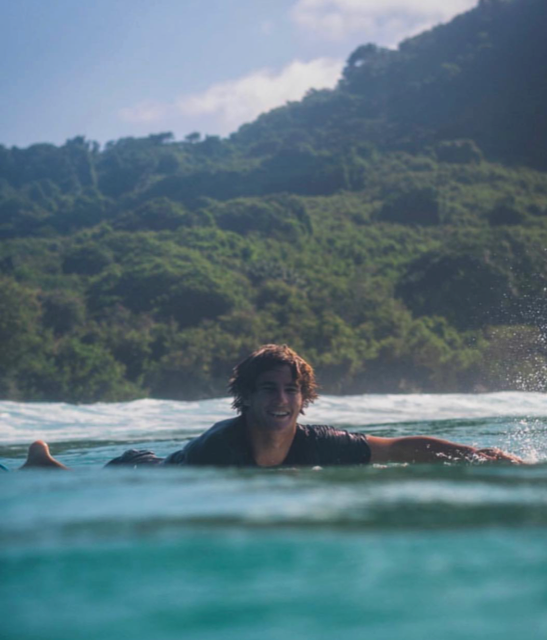 Jack is in great form, fresh off his Volcom Pipe Pro win in Hawaii earlier in 2019. Don’t miss your opportunity to witness surfing royalty compete in Margaret River. Book your South-West holiday today. Get close to the action with one of our luxury beachside homes. View our portfolio to discover the inspirational properties on offer.